When I arrived at the home of this wonderful couple (who prefer to remain anonymous), I was warmly greeted with pastries, the best homemade cappuccino ever, and a gorgeous expecting lady who was already in early labor. This is the first time I have ever posted a maternity session with the newborn session already on my camera; she had a baby girl 4 days after this shoot (photos coming soon)! I was immediately in love with them and I could just feel how much they are in love with each other. Although I had to travel a ways to meet them, it was an experience I’m glad I didn’t pass up. 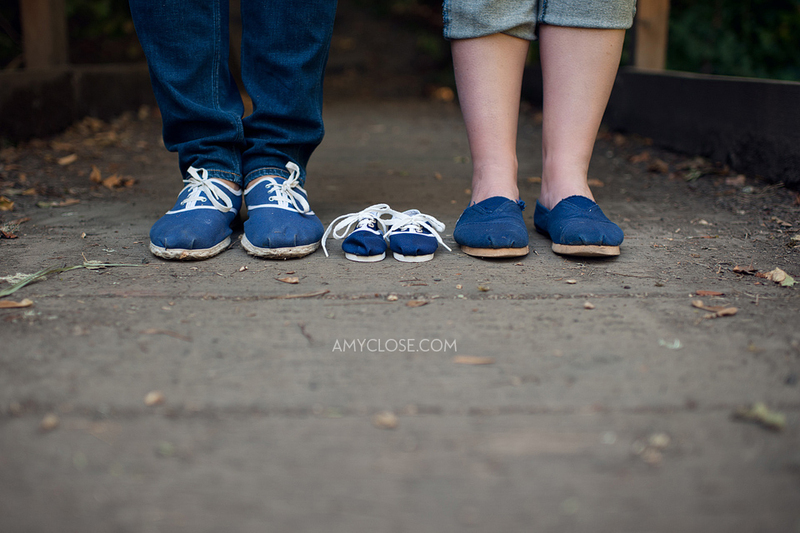 The father-to-be is from Argentina, where they have been making alpargata shoes (where Toms originated from) since 1885. The Alpargata is a traditional shoe made by the gauchos for use in the great pampas. The casual style fits perfectly into modern sensibilities; simple, elegant, and functional enough to walk from Buenos Aires to Patagonia and back without getting a blister. Now I didn’t make this Ma-Bod walk that far by any means, but I’m thinking I need to get myself a pair of these for photo shoots! Haha. The baby alpargatas are ridiculously adorable! Enjoy. Great pictures of my niece. I am excited to she baby Nilahs pictures soon. You did a fantastic job with my daughters baby AMYA….6 months will be here soon! Wow nice work amy! How are we going to choose! can’t wait to see nilahs’s pictures….. Viva Argentina! These are so beautiful. I love hte happiness and hope they evoke. Love them! What a glowing mama and papa! Lovely pics! Great photos, I particularly like the black and white of you and Nacho laying in the grass. it was sooooooo fun! i never like photos of myself! amy did a killer job! I was huge! i started contraction the next day! talk about cutting it close! So adorable Kaytea! Love the pics! Love the back ground for your photos. The shoe picture at the front door is perfect for what is to come ! Pics are so amazing that I have decided they are all my favorites. Couldn’t pick just one! Wow! Kaytea looks amazing! The pics are lovely and really show how happy and ready she is to have that baby! Beautiful. I had no idea you are bringing a lill one into this world. Right on! You two look so happy! So beautiful! Those are some pretty amazing photos! I love the one of Kali laying on you with her eyes closed. So cute! Congrats on the baby, btw! Great maternity shots. They exude happiness and are very natural. Awesome. These are really beautiful! I love the black and white ones a lot! My parents took similar pictures when I was still in momma’s tummy, pretty cool to look back on ! Sweet pics – they are a keeper! Love the photos…You guys look so happy! Enjoy your time now with your beautiful baby girl and being new parents. Can’t wait to meet baby Nilah! Loving these! Such a great and loving environment for the new little one! Kaytea you and your husband look so happy, and you look gorgeous! Good luck on your happy adventures as parents! Love the pics! Can’t wait to meet Nilah sometime! What a great collection of photos!! The happy couple exude the anticipation of impending parenthood!!! These are really cute photos, and you two look so VERY happy! I dig the one up top with the little shows. These pictures capture the love you two have for each other beautifully! Nilah was blessed with two amazing parents. I cannot wait to meet her, July is way way too far away!!! Beautiful photos…what a treasure to be able to share with your princess when she is older! Oh my God, where do such beautiful people come from! I’ll bet the baby is destined to be just as splendid of a citizen. Congrats you guys! Kaytea, you are GORGEOUS! Great pics. Kaytea,I’m so happy for you. she did a great job kaytea!….i can’t wait to see them all……and to see that sweet baby girl! I really enjoyed seeing your pictures, and I am glad you shared them with us. Can’t wait to see the new arrival. WOW! Dig all of these! But specially love the black and white ones, they are amazing! Happiest and most adorable ‘Momma & Daddy to be’ ever! Now that we see the before shots, we want the after shots with all three of you! Congratulations! The pictures are great. Love with your dog! So happy for you guys! These pics are awesome. Cute pictures. Enjoy those long sleepless nights. Love the blue suede shoes. Just stay off of them. Beautiful shots. Love the dog on belly & the shoes and booties. Beautiful pics. Great way to capture the memories. These are amazing Kaytea and Amy! Bet this is gonna be one gorgeous baby!! !